Films about a drug dealer struggling with his morality, a preteen girl struggling with her mother’s gambling addiction, and a driven professional who returns home to care for his father took home the top prizes in HBO’s first Asian Pacific American Visionaries short film competition. 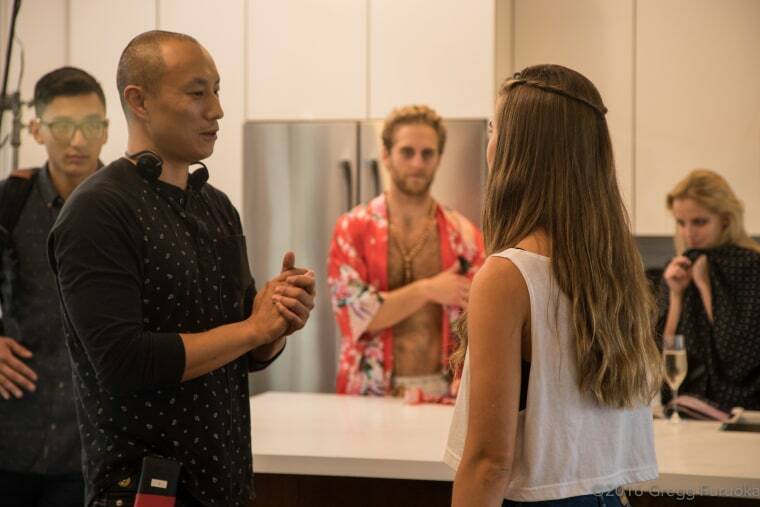 “It’s all a very big surprise and it all hasn’t been setting in yet,” director Dinh Thai, whose film “Monday” won first place, told NBC News. In addition to cash prizes, the winning filmmakers have the opportunity to distribute their work on HBO platforms. The film follows a young drug dealer who struggles with his emotions as he begins to have second thoughts about his choices. The film was originally supposed to be a comedy, Thai said, but morphed during scripting. While Thai has worked on commercials and web videos for several years, “Monday” is his first short film. Born in Vietnam, Thai and his family left the country as refugees in the 1980s, heading to France and eventually settling in the suburbs of San Gabriel, California. In second place winner Tiffanie Hsu’s film “Wonderland,” a precocious preteen navigates the confusing and glittering world of Las Vegas as her mother fuels a serious gambling habit. Hsu said she was inspired to write the script after reading that gambling addictions were more prevalent in East Asian communities. Hsu first became interested in the world of film as a college undergrad, where she was originally going to study pre-med like several other members of her family. “I wanted to do something different,” she said. Hsu began doing just that after “Life of Pi” wrapped, attending the American Film Institute’s Directing Workshop for Women and receiving a Soros Fellowship to attend UCLA’s film school, where she is currently shooting her thesis film. Reflecting on her career to date, Hsu said it would have been much harder to establish herself without programs that focus on amplifying diverse voices. Responsibility to family and caring for an ailing parent are two of the main themes of Jingyi Shao’s “Toenail,” which took third place in the APA Visionaries contest. As he learned his father’s story as he got older, Shao realized that wasn’t the case. While the concept for the film had been in his head for a while, Shao said that the announcement calling for entries for the APA Visionaries contest propelled him to get started. "It wasn't the easiest thing to open up about. I came up with the idea and kind of sat on it for a couple of months," he said. Shao added that as more people see the film he has been thinking more about the roles of parents and children in Chinese families. Correction: An earlier version of this story said Thai's family settled in the suburbs of San Diego after leaving Vietnam. They settled in the suburbs of San Gabriel.